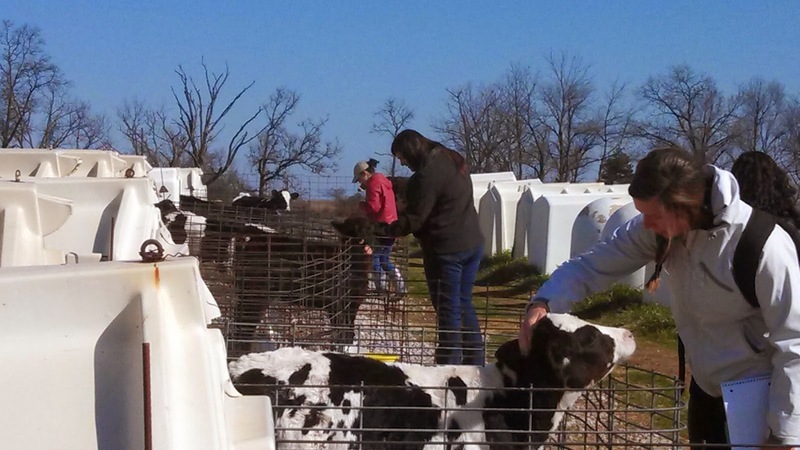 Triple A Farms, also known as Anglin Dairy, was the first stop on the spring break tour for University of Arkansas animal science students in search of knowledge about different types of dairy production and the day to day activities on a dairy farm. 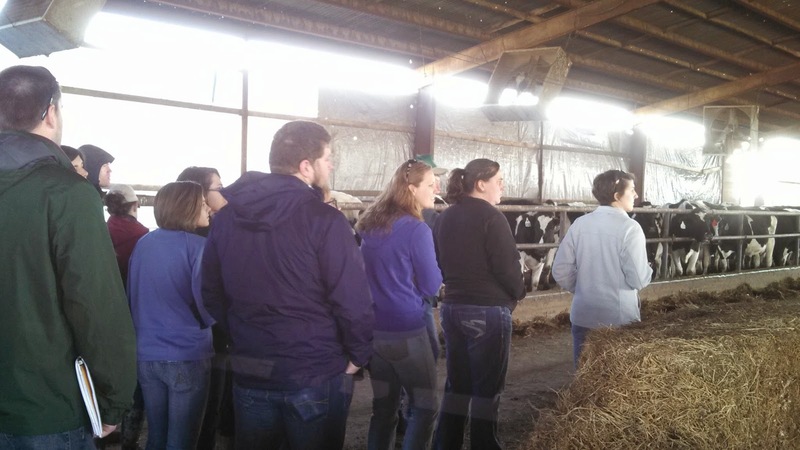 Only one or two of the students had ever been on a dairy farm so I'm pretty sure we provided the start of a unique spring break--much more entertaining than a sunny, sandy beach! The cows were curious about visitors in the feed barn but they kept on eating! 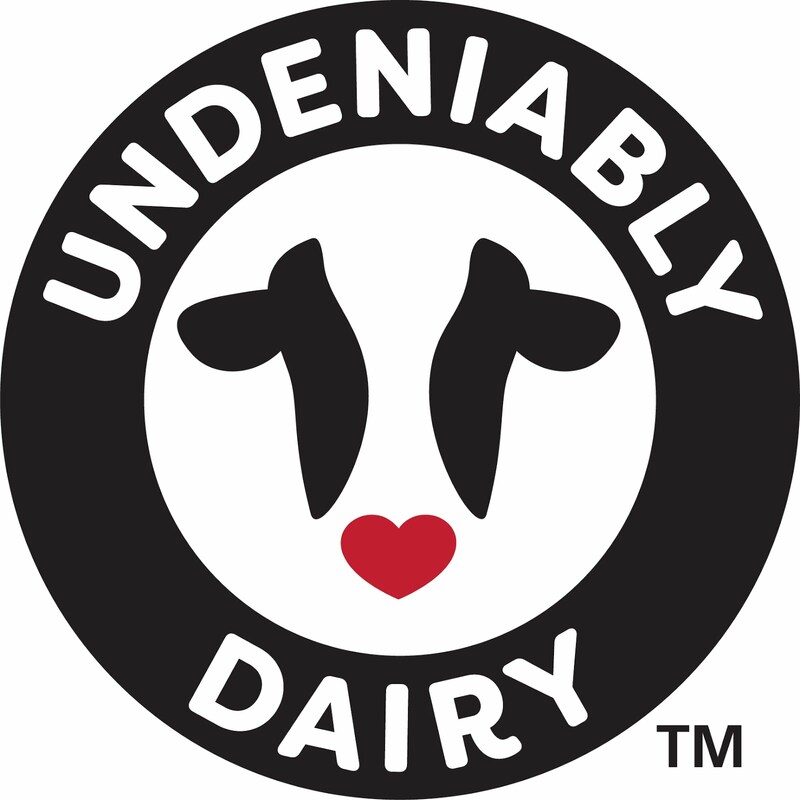 The students saw first hand that dairy farmers care for their cows by providing a nutritious diet. Although the baby calves are the last stop on the tour, it's always the favorite for any visitors! These calves are the future of our dairy farm and it's easy to understand that we make it a priority to get them off to a healthy start with individual care and attention. 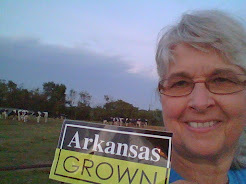 a lot of smiles from both farmers and students! How exciting it must have been for the students to see the calves up close! They are adorable!